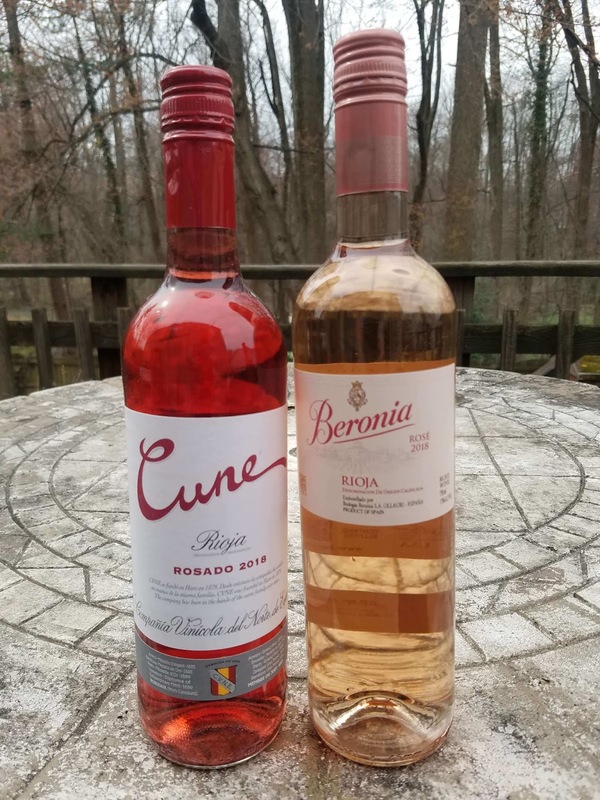 "In the 3rd Century BC the region of Rioja was inhabited by the Berones, a warrior people from Celtic origin whose populations reached from the Cantabria mountains in the North to the Demanda mountain range in the South. This warlike population, also dedicated to agriculture, livestock, pottery, and metallurgy named this area Beronia." Beronia Winery was named to honor this heritage and is located in the Rioja Alta subregion of the famous DOCa Rioja. This subregion shares similar characteristics as its two other subregion siblings (Rioja Alavesa and Rioja Oriental - formerly Rioja Baja) -- like abundant sunshine. Rioja Alta is the highest region and enjoys a larger diurnal temperature leading to acid retention and longer maturation periods. CVNE is another winery located in Rioja Alta (with additional vineyards in Rioja Alavesa) and is currently celebrating its 140th year anniversary. In fact, the winery is still controlled by the direct descendants of the founding family. 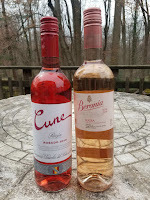 Recently I received samples of Spanish Rosados from each winery. This winery is part of the Gonzalez Byass portfolio and is a blend of 55% Garnacha and 45% Tempranillo. The Beronia estate consists of 25 hectares of vines and the vineyard team also controls 870 hectares of specially selected vineyards situated within a 10km radius of the winery, maintaining the Rioja Alta terrior. The wine is soft with velvety cherries and strawberries, depth, and plenty of lifting acids. Major finesse. This darker colored rosé consists of 100% Tempranillo and is a deeper and richer wine. Because CVNE controls vineyards in both Rioja Alta and Rioja Alavesa the grapes are potentially influenced by the Atlantic and Mediterranean climates. On the one hand, this means moderating influences, on the other hand, warmer and sunnier. This wine is much fuller with textured dark cherries and some stone fruits. And like the previous wine, expect abundant acids. Cheers.